If you are like me, you made your Christmas list a month ago with photos and pricing of each item you must have. If you are even more like me, you are still looking for something amazing and always willing to add to your growing list of must haves this season! I have quite the perfect fashion piece for you! 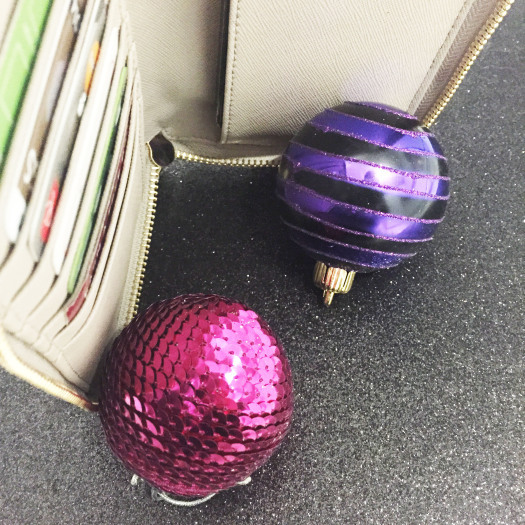 So I have got my dream seasonal job at Kate Spade… (I know it’s a dangerous thing for me, and I know how lucky I am looking at sparkles and bows all day, so you don’t have to remind me) and the first thing I felt I needed was something that would make my life easier. Sometimes I don’t want to carry a purse that is larger than me, I just want a perfect little wristlet to carry all my essentials. Drum roll please… TA DAAAAAAA, I have found it! 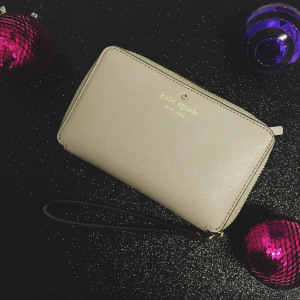 The Cedar Street Tech Wristlet is a woman’s new saving grace and the perfect addition to the wrapped gifts underneath your Christmas tree. So, some of you are probably wondering “what does this little baby have to offer me?” Well, let me just put your mind at ease and tell you Dolls what the story is here. Going out during the day or in the evening and just want to carry your phone and your credit cards, because, of course, in case you need to make some purchases like, perhaps, a new party dress or a glass of bubbly at the hottest joint in town? 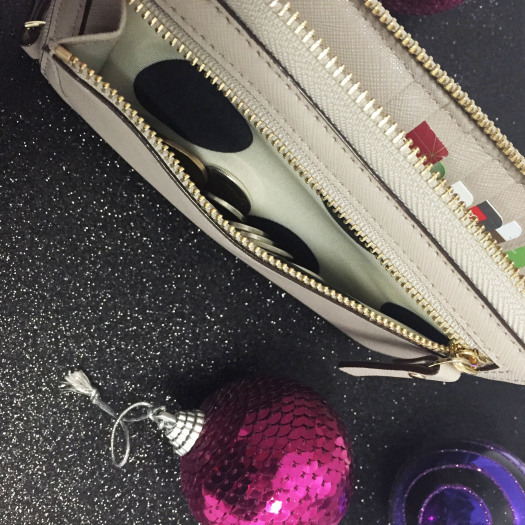 Well, this wristlet will do just that! I love huge purses, but you know that shoulder ache you get after carrying it around for what feels like forever? Well this is a nice change to that, and its tiny enough that your biggest worry is forgetting that it’s there. 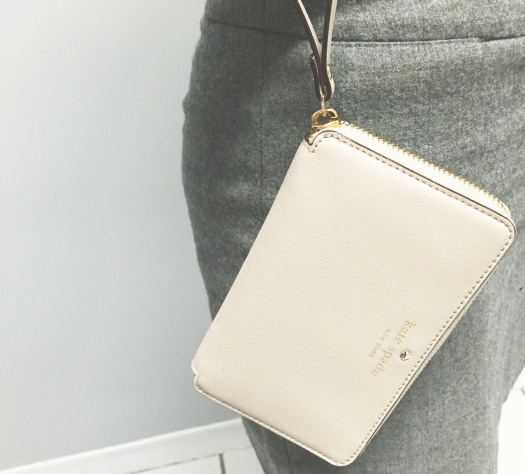 There are just so many amazing little life changing features to this zip around wristlet. 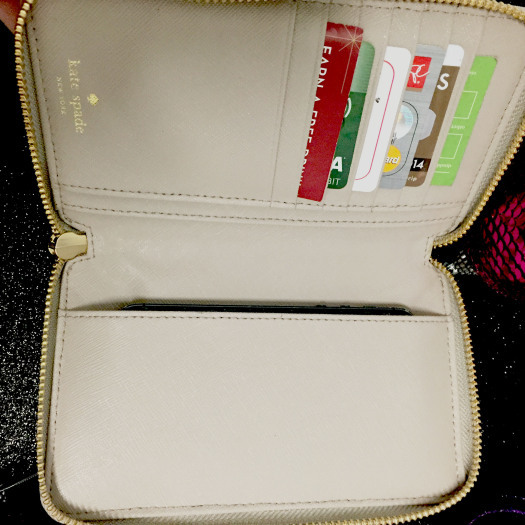 One of them being the cell-phone slip pocket on the inside (yes, it does fit the new Iphone 6, and no, it does not fit the new huge Iphone 6 Plus or like I like to call it the new “Ipad mini mini”). It has room for seven cards (that should do a few credit cards, your ID and whatever other card you must have with you (cough cough, Starbucks Holiday Point Card), two billfolds, so you can put some of you cashola in it, or some photos of a loved one, such as your pup, or even the gent you married. Have some change you don’t know where to put? 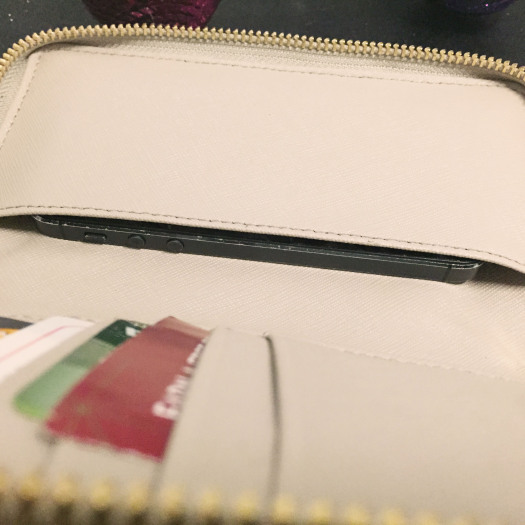 That’s not an issue because on the outside of this wristlet, there is a zipper coin slot to secure your change, and I feel like it’s totally appropriate for me to add that there are polka dots on the inside of the coin slot. 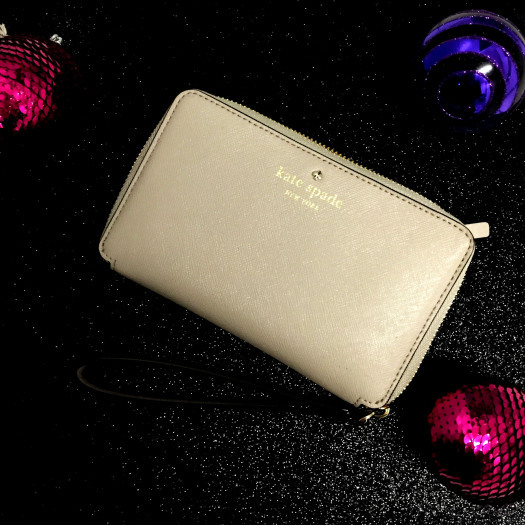 Its comes in different colours such as black and rosy dawn, which are colours I also feel like I need to have, so make sure you visit your nearest Kate Spade ASAP! I MEAN RUN IN YOUR HEELS LADIES, or check it out online today. You’re Welcome in advance! My only feedback is that I just want to ensure you understand how much you need this.